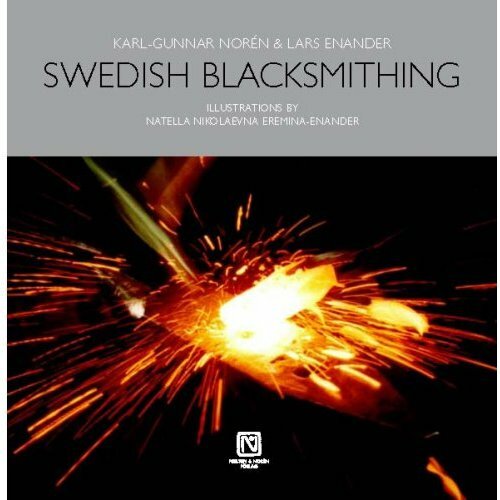 This is the English translation of the bestselling Swedish book about basic blacksmithing, which has been available in Sweden, Denmark and Germany since 1998 and has become the standard book on the subject. It was born out of the need for an easily accessible, but still professionally structured, description of how to hand forge and is written in the form of a dialog between a master blacksmith and his apprentice. By combining the dialog with nearly 400 drawings of the process steps and techniques required in blacksmithing, we’ve created a unique learning tool. It’s practically impossible to misunderstand how the projects included in the book are to be performed. And at the same time, you’ll experience the joy of being able to forge on your own! Steel is a forgiving material, that lets the smith develop as knowledge is gradually built up. But it’s also important to understand the mistakes one has made, in order to be able to go back and try it again. The process as it is depicted in Swedish Blacksmithing will help you to do this! Swedish Blacksmithing also gives examples of true peak technology, like axe making and the latest in damascus, or pattern welding! The book doesn’t hedge when it comes to the problems that must be solved in the forge: tools, the use of thehearth and anvil, the characteristics of different kinds of iron and steel, the temperature, hardening. It gives directions for all the conceivable situations. Some say that the book is also entertaining and most maintain that Swedish Blacksmithing is the best objective description of how to forge.